I am in THE best mood today! I think it is because the sun is shining, I have sushi for lunch, my hair actually looks good (I think so anyways), I have figured out the secrets of parenting and I am starting to get caught up around here. So I just wanted to let you know that today's Happy Hours will be extra special! Come in between 4 and 5:30PM today for an adoarble project! All I can say is that it uses our signature CD cases! There are still plenty of room in our classes. Check out the post below for details. You can call to reserve your spot or stop in! I hope you all added us as one of your favourite groups on Facebook. If not, do it today! This will be used as a means of keeping you up to date on various promotions and new releases in the store. And to celebrate us being on facebook, we are having a promotion where ALL Spellbinders and Cuttlebug items are 25% OFF! Sale ends TOMORROW (April 24th). The classes are around 1.5 to 2 hours in length and most supplies are available in the class. We normally only have you bring your own scissors and adhesive. The only time you must bring more supplies than this is if you sign up for a technique class like those using copics (ie. Linda's latest classes). You can call to reserve your spot in the class (519.351.5220) or stop by. Classes must be paid at time of booking or within 48 hours of booking. Payment can be made over the phone via credit card or in person at the store. I am so excited about these cards. Pauline has created two fabulous cards using Hero Arts stamps. The first card uses the Brilliance tri-colour ink pads, spellbinders dies, decorative paper and ribbon. The second card is a little more rustic but it literally shines! Work with Mementos, pearl ex powders, liquid pearls, twine and more. A great card for any occasion! Debbie will be bringing back some great techniques that we haven't seen in classes in a while. The first card uses the Cuttlebug and their embossing folders, Unity Stamps, glitter, ribbon and more. The second card features working with Tombow markers on water colour paper, distress inks, pop dots, edge punches, and glitter. As requested, Michelle has designed a gorgeous two page layout. What a great layout to feature that special person in your life! Techniques include distressing, applying glitter, using designer papers, precision cutting techniques and more. NOTE: We will be posting a couple of more classes later next week. There will be a copic technique class with Linda (Wednesday, May 26 @ 6PM)and a single page layout with Michelle (Thursday, May 20 @ 6PM). I will keep you posted on the details once they are available. I thought it would be nice to do a little recap of last weekend for you. We left for Kitchener on Thursday around 2PM for Scrapfest. 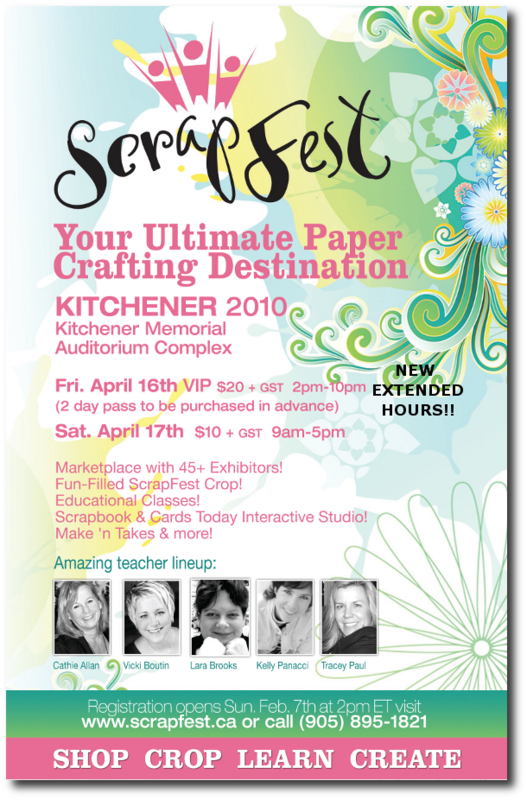 This in my opinion is THE premier paper crafting event in Ontario. As a vendor, I can tell you that Lisa Sales-Furney (the organizer) has always treated us so well. She has people to help drive your trailers into the auditorium and help unload them. No where, I mean no where, do you get service like this! We spent the entire evening setting up the booth. This year, we focused on Kaiser Craft products and of course our ribbon! As usual, we stressed about this choice. Most stores just set up 'mini' stores within the auditorium and that seems to work well. But not us....we always HAVE to be different. Why, I don't know. Maybe it all goes back to our very first show. We did the 'mini store' idea and basically packed up 80% of the store and brought along this 150 pound work bench from some friends barn along with 10 bales of hay, 6 pumpkins and us four sisters all in our cowboy hats. Let's just say when the first customer asked for that one scrapbook (you know that ONE!) that we decided to leave back in Chatham, we knew there had to be better way!!! After our busy day of set up, we checked into our hotel (the Delta Kitchener) and ventured out around 9PM for something to eat. We came upon this great pub with a great open patio idea with live music. When the guy said the special was $2.99 pounds of wings with the purchase of a pitcher of beer, let's just say our minds were made up. It was so cool to think that at 9:30pm on April 15th, we were able to sit outside enjoying a beer on at patio without a coat on. Got to love that weather we have been having! The next day, it was rise and shine bright and early. We had a big day. Not only did we have to put the finishing touches on our booth before the doors opened at 2PM, we also had to complete our projects that we were featuring! Nothing like a little pressure to get you making decisions! Honestly, I don't know about you, but I NEED the pressure...I work best under pressure. As usual, we were literally running right up until the doors opened at 2! And boy did they open with a bang! The VIPs honestly came storming through the doors screaming and cheering (FYI....we were THE first booth as you walked into the Aud!). Thank goodness we had Debbie (you know....Aunt Debbie) and our cousin Lauren (Debbie's daughter) to help us! Debbie manned the make and take table while Lauren did her sales thing. Kell took care of the cash and I did a bit of everything. The day/night was a blur. We were told that over 750 people went through the doors that night. When the doors closed at 10pm you would think we would be ready for bed. Oh no.....Kell had all this energy because Will was at home with his Dada so she wanted to create. Crazy girl. I was all wound up from the night that I just couldn't sleep....crazy girl. The next day was even crazier! The doors were open to the public from 9am-5pm. Over 2000 wristbands were sold by 2pm. And you know what? All the sleepless nights paid off. The people loved our projects! We sold out of a dozen designs. We loved hearing that people were thrilled we were back with our ribbon as their stock from last year was nearly depleted. And speaking of ribbon, we sponsored an event where the ladies were asked to guess how many inches of ribbon were in our pickle jar. The winner was Lee-Anne (pictured with us!). Lee-Anne guessed 5,555 and the actual number was 5,436! Pretty good guessin' girl! Lee-Anne got to take the entire jar home with her. And how nice was it for her to stop by our booth afterwards to thank us both in person for the ribbon! I ♥ when people get excited! Many of you that attended the event have asked us to post our projects so you can be inspired. Over the next couple of weeks, we plan to post 1-2 projects per week. Look for some very fun ideas including hanging notepads, ribbon holders, storage boxes, mini frames and more. We will also be featuring tips and tricks we discovered along the way. And for those of you who stopped by the booth, thank you! We appreciate the business and kind words. And for those of you who didn't attend, I am telling you now, make SURE you go next year! You will be so glad you did! We are thrilled to announce that you can now follow us on Facebook! 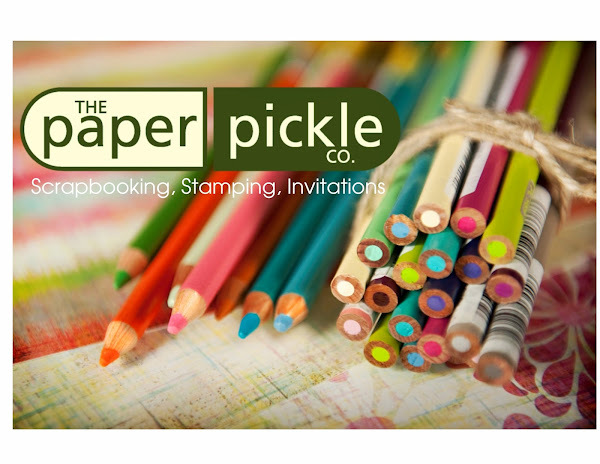 Just search for The Paper Pickle Company and we will come up! So for all your tech savvy people out there (e. those who follow us on the blog and facebook), you will be rewarded by special saving this week!! ALL Spellbinders and Cuttlebug products will be 25% OFF this week! Sale ends April 24th so don't miss out!! 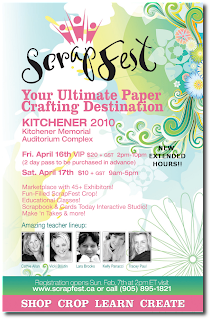 PS....I will be posting tomorrow to tell you all about our adventures at Scrapfest Kitchener! Sorry ladies...I just needed to clarify a couple of things from my last post. The class schedule will go out next Wednesday (April 21st). Ooops....sorry about that. Also, we will be closed this Friday, April 16th so that means there will be NO 'Happy Hours' this week. We will resume our Happy Hours next Friday between 4 and 5:30pm. As a reminder, these are free projects where you get to learn new techniques and make a cute project. So far, we have worked with the new Distress Inks, made Easter Bags using Stampingbella stamps, used Unity cling mount stamps and coloured with Copics. So much to say and SO little time! Honestly, the week before Scrapfest in Kitchener is ALWAYS insanely busy. I think it is SO busy because we are always trying to outdo ourselves....let me explain. Each year we pick a couple of feature products and then we pick a theme for the booth. Last year we featured Stampingbella stamps in our little flower shop booth (here is a picture of the amazing board of cards!). Thanks to the hard work of our girls (Lauren & Debbie) and the amazing samples by Linda, Pauline, Debbie, Kell and myself, I can honestly say our booth was a HUGE success. Now you know why the pressure is on! Honestly, if you have not made it to Scrapfest in the past, I think THIS is the year you HAVE to go! It is just so much fun. The VIP night (Friday) is SOLD OUT! But stop in on Saturday. I know you will find LOTS of great goodies from around the province. We will be doing make and takes, giving out coupons and selling our featured products of 2010 (do you know what it is?). Visit the link above for all the details! Due to our attendance at Scrapfest, we will be CLOSED this Friday! The store will be open as usual on Saturday (10am to 3pm). 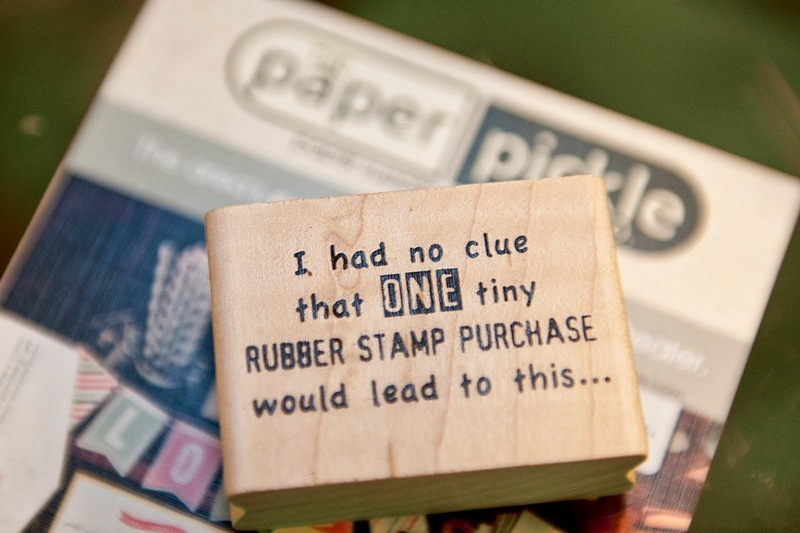 If you have any stamps to return Friday, keep them an extra day on us! The NEW class schedule will be released on Wednesday! Try to clear your calendars now as this will be a schedule jam packed with amazing projects! Guys, if you have not been in lately, you would not recognize the store! pretty much EVERY paper in the paper nook is NEW! Check out the great releases from Basic Grey, Crate, pink paislee, My Minds Eye and many more! For those of you looking for beautiful shimmer papers, pockets, favour boxes and more, we got you covered!! Did you know we are the only exclusive distributor of the Envelopments line in the Chatham Kent area? 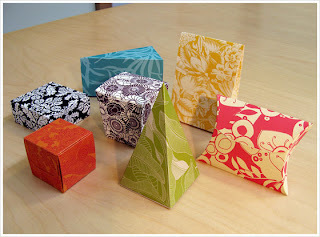 If you have not heard of Envelopments before, follow this link. I think you will be pleasantly surprised! We carry a great selection of their cardstocks and papers and special order their pockets. We just placed a HUGE order today....all of their new releases will be in the store within the next week. Hope to see you in Kitchener! !